This Saturday, March 30, Eastchester’s Mickey Spillane’s plays host to a national fundraiser working to support veterans and their families. 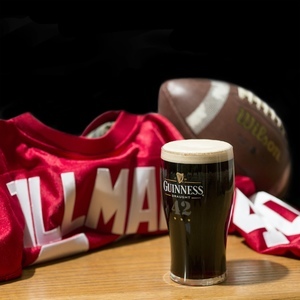 Pints for Pat, a fundraiser for the Pat Tillman Foundation, has taken place in major metropolitan cities across the country, and this weekend’s event brings a more local flair to Westchester. The event has gained a considerable amount of support from local donors, as close to 20 local merchants have contributed services, gift cards, and raffle items for the night’s festivities. In addition to these donations, corporate and resort magician Mr. Tom Pesce will be on hand to entertain the audience throughout the evening. In addition to Mr. Pesce’s entertainment, attendees will enjoy two hours of food and an open bar (beer/wine). Raffle tickets will be available for purchase, and four silent auction items will add further intrigue to the evening. Admission tickets for this 21+ event are on sale this week online and at Mickey Spillane’s; while online sales end Friday, tickets will still be available at the door on Saturday (cash only). The Pat Tillman Foundation, created after its namesake’s death in 2004, has put considerable efforts into helping veterans and their spouses earn scholarships to further their educational pursuits. Since 2008, the Pat Tillman Foundation has donated over $16 million to more than 560 veterans.